Creating and managing personal change is an ART! Most people want to make positive changes in their lives but aren’t quite sure how to begin the change process. And anyone striving to change himself personally and professionally is both the artist and the work of art at the same time. We are all constantly writing our autobiographies and painting our self-portraits. Essential for such creative work are the cornerstones of Awareness, Responsibility and Transformation (ART). So, managing change, besides a set of skills you need to have to do it the way you need and want, is also an ART. You will have to engage your creativity! Awareness: It is all-too-easy to go through the day on autopilot, acting out of habit rather than intention. Becoming aware of habitual thoughts and behaviors is necessary in order to change them. For example, someone who finds teaming difficult because of how he expresses anger will need to become more aware of his behavior patterns and the kind of situations in which he routinely “gets hooked” and vents inappropriately. Responsibility: For desired changes to happen, we must be intentional about the effort. To be the master of our own growth requires making an honest assessment of difficulties and options and committing to change what we can. For the person learning to manage anger, taking responsibility may mean acknowledging the impact on others of his habitual behaviors and actively learning and practicing new responses. Transformation: Reaching for our goals requires taking action over time. Transformation, however, does not happen only once we reach our goals, but as part of the process. We are transformed by the journey itself, even before reaching the destination. The path toward desired change, whether it’s losing weight, career advancement, or better managing anger, will involve twists and turns, frustrations, and mistakes. But learning from each experience and seeing signs of progress (such as a successful instance of taking a breath and asking a question rather than immediately raising one’s voice in anger) are transformative. Creativity in personal and professional development requires ongoing effort. Have you ever wanted to make more money than you are making now? Have you ever wanted to put off some weight? Have you ever wanted to buy a new car? Have you ever wanted to have your own, unique house that can fit all your needs? Have you ever wanted to be loved more by your partner? If you answered YES to any of above questions, than you know that you need to change somethig in your life. Are you ready for that? 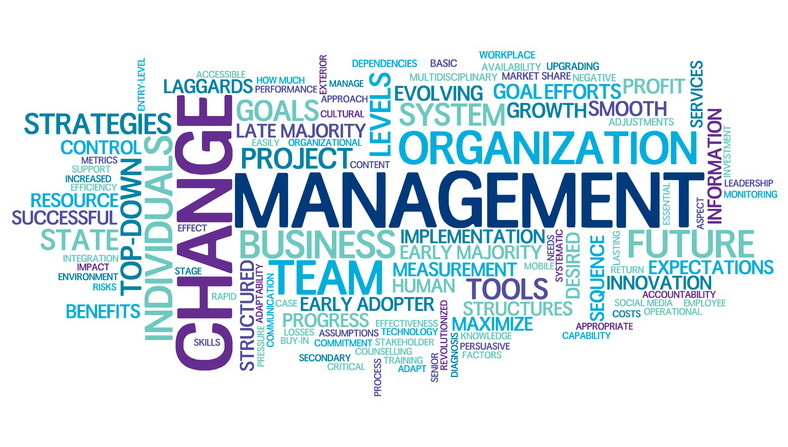 Do you know how to manage changes? If yes, than read on. This text will help put you on an effective path for personal change management. The first step in personal change management is realizing that something in your life is not the way you want it to be or the way it needs to be. If you honestly answered above questions, you should have at least one YES answer. Once you understand that you need change, you must make a firm decision to change and make an action plan on how to make desired changes. You can learn how to manage changes! Decide to be MASTER OF CHANGE, not Victim of change! Everyone has to deal with some kind of change in their life at one time or another. That includes you. You have already gone through certain changes in your life as is evidenced by the fact that you are where you are today. You could not have been here without engaging some kind of personal change management. But before I continue, let me tell you my story. Some 18 years ago, I start to work for Tetrapak, world famous packaging company. Everything was great, we had a small, yet very efficient and productive team. I was working as a finance controller at that time. We were busy, I was travelling 3 out of 5 working days to factory, some 130 kilometers away from my home town. My coleague and my boss, was Financial controlling manager. He had to report to Finance Headquarter and Production Headquarter on very tight schedules. Since factory was working better and better, we were staying at work longer and longer hours. And than, after some 9 months, one morning my coleague just quit his job! Finance Director called me and told me that company rely on me. I was expected to do both jobs for the same salary. I told – OK, I can do it until we find another person to take my position of finance controller. A month and a half later we havent even started looking for my replacement. I was travelling 2 out of 5 working days to the factory located 150 kilometers from my home, and I was working a minimum of 14 hours a day. Sometimes 18 hours a day! And one day I just told to Finance Director – I can’t do it any more. I am exhausted! He said – no, you promised you will do both jobs. At that moment I just gone mad and said: In that case I quit, too! I had no sallary, I had no savings, I had no job and I had my family – one small son, and the other one on its way, and I had only 50 Deutschland (German) marks in my pocket (approximately $45 USD), which was enough at that time for less than one week survival in Serbia. I felt completely lost. I was thinking how to find money, how to find another job… I started to send my CV’s to all companies looking for experienced finance employees, I was sending it to dozens of companies… But in short term, this was not supposed to be a solution (at least, I thought so). And as I would spend more time with my hectic and fearful thoughts on how to find solution, the right solution seemed further and further. I had to cool down. I was going to bookstores for 2 days, and I was reading a books. 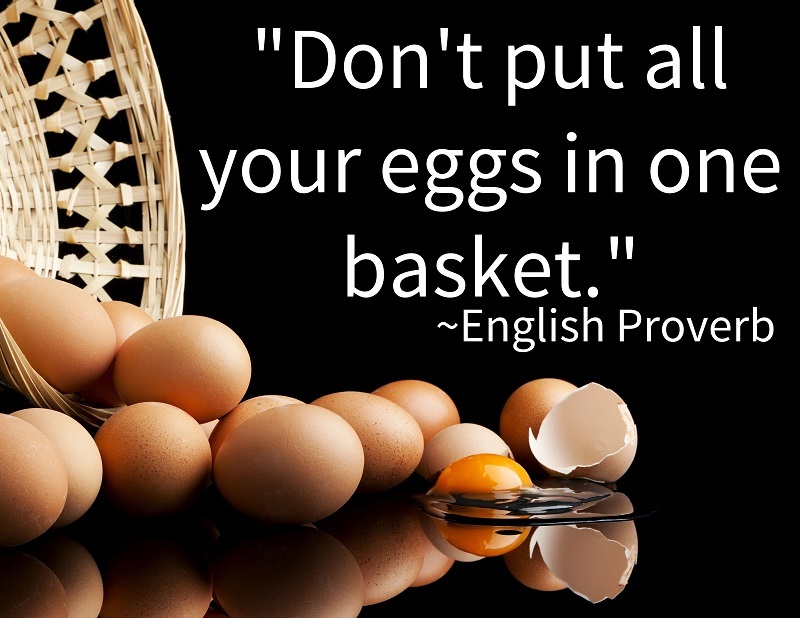 In one of the books, I read a quote: don’t put all your eggs in one basket! AND BOOM! That single thought, that single quote use to hit me very hard! I was depending on only one “basket”, i.e. on only one source of income, and when it dissapeared, I felt lost and miserable. I will never again put “all my eggs” in one basket! And I start to visualize my „new life“. In that visualization I was living in completely new aparment, I was driving a brand new car, and I was living at a coast! Just to remind you – I had only 50 DM in my pocket! I started to go to auto-showrooms to choose my new car. After a day or two, I found the “perfect one”. 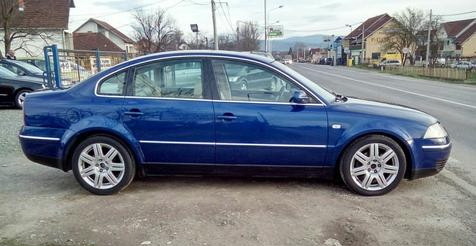 It was a brand new blue metallic VolksWagen Passat B5, 1.9TDI with 130 horse powers. A perfect car for me at that time. The challenge was – how to buy it, since it’s price was 50.000 DM, exactly 1000 times more than I had in my pocket. And BOOOM! Next morning I received a phone call from company Glencore, Switzerland, I sent my CV a few days ago, and they asked me if I can come to their HQ for an interview. They have sent me money, so I bought airplane ticket and have travel costs reimbursed! It was like in a fairy tale. I got 1000 DM, I bought airplane ticket for 600 DM and I left with 400 DM, which was enough for living costs for the next month! In 5 weeks, I got the job (after 2 more trips for the interviews). I got position of Finance Director of Aluminium plant in Podgorica, Montenegro, which is some 50 kilometers from a sea coast. I moved with my family to a brand new apartment, AND I got the opportunity to choose my new company car, which was (you can guess) a brand new blue metallic VolksWagen Passat B5, 1.9TDI with 130HP (on picture). Very soon, in a few months I founded a dropshipping / e-commerce web site and start to sell products. | Change is the only constant in life! How To Have The Life You Want Without Spending Years & Tears On Achieving It? To manage your changes can, at first sight, look like just an ordinary concept, but its effects on our life and job are undisputed. Did you know that you can easily understand a way for you to achieve all kind of abundance in your life? Did you know that you can learn how to easily transform your life, and your financial situation just by applying simple steps. IF you implement and master the steps I’m about to share with you, IF you are committed to achieving your biggest goals, then you need to take action NOW and integrate those steps into your everyday life. Live the steps. You see, what you are about to learn here are all the secrets of the most successful people on the planet. If you were to spend time with millionaires (and billionaires), you would notice they ALL have these in common. It is not a coincidence. It is the formula to achieving abundance. This isn’t about finding that “one” thing that will bring you millions; it’s much more than that. In fact, there are actually countless different ways to make millions (which I will discuss later). Don’t worry about HOW you’ll achieve the abundance you wish to manifest, that will be discussed later. In fact, that’s probably the easiest part. It’s working on the first part that is the hardest – working on YOU! The Path To Wealth Begins with YOU. They say “making your first million is the hardest.” I believe this to be true. At least that was my experience. Because achieving all kind of abundance requires some major critical shifts to occur and most of them occur from “within”. Once those shifts have occurred, the “rest is history” as they say — and money will begin to flow with ease. That’s my favorite saying. In fact, I even have it posted up on the wall in my home and my office as a constant reminder and affirmation. And today, that really is true for me. Now, it is only up to YOU to choose one of our comprehensve programs, where I will grab your hand and coach you through the process of becoming Master of Change (12 weeks program), able to help to yourself and anyone else or becoming Change Wizard (4 weeks program), where you will focus on learning change management skills and applying them to your life! Life is reallya series of changes and every change is a challenge. It is a chance for us to learn – to grow – to widen our knowledge. Some changes can be small, some big, but each of them gives us a chance to learn something new about ourselves and the world around us. There is no way that leads to complete avoidance of change. Choosing to be passive and resistant comes with greater consequences than choosing to directly face changes. You are the person that changes with each and every day, in a world that is everchanging, and resisting to change only increases fear and frustration in each situation. Learn to be open in order to create new and exciting adventures that will result from change. full of different techniques and strategies that will help you overcome the fear, reduce stress, overcome emotional problems, to embrace the way of thinking practiced by successful people. If you follow our program guidelines and apply techniques we teach you, we guaratee 100% that you will succeed in everything you do. You will become THE MASTER OF CHANGE. Are you suffering from stress, a sense of overcrowding obligations, lack of energy or motivation? Do you need a change of direction, but you do not where to begin? Are you missing a clear focus and strategy to move forward? Are you continuously doing same things on the same way and keep getting same results? Do you feel like being too sensitive or too emotional? Have you ever asked yourself why others keep gaining such high results in their lives, and you cannot reach that no matter what you do? If the answer is YES to any of the abovementioned questions, then this program is for you. Everything we made in life, or we are capable to, comes to the one thing – our way of thinking.